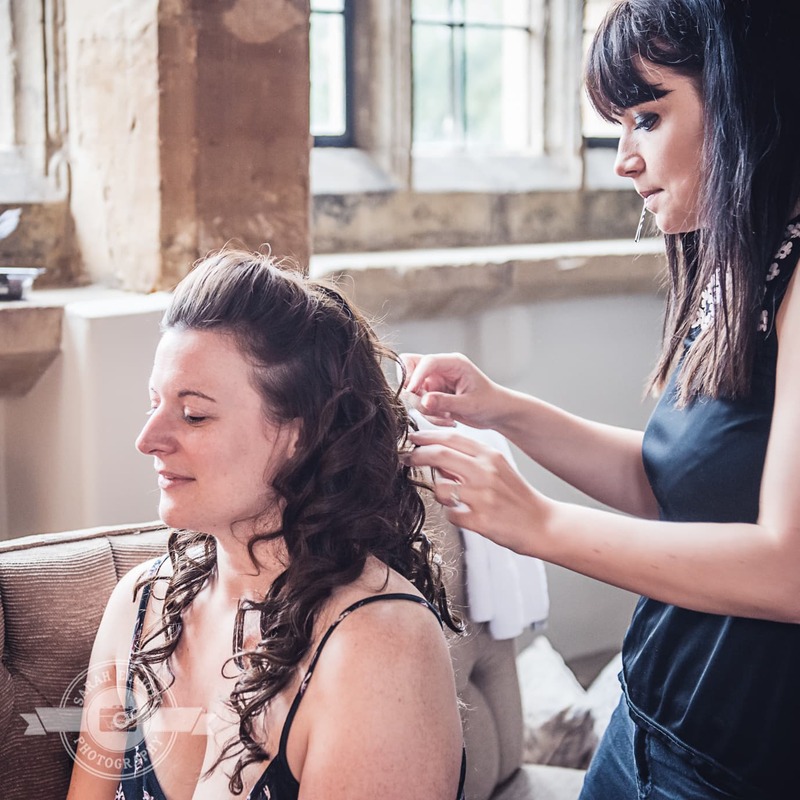 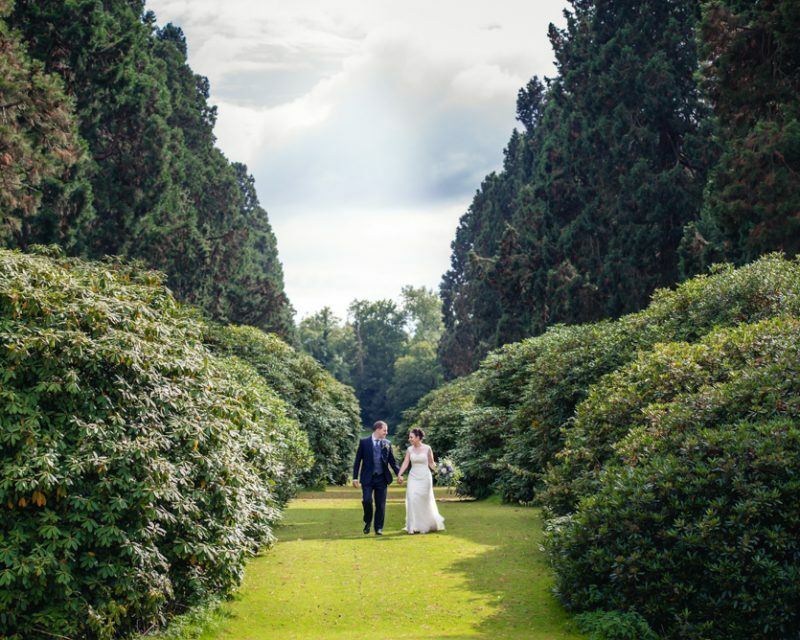 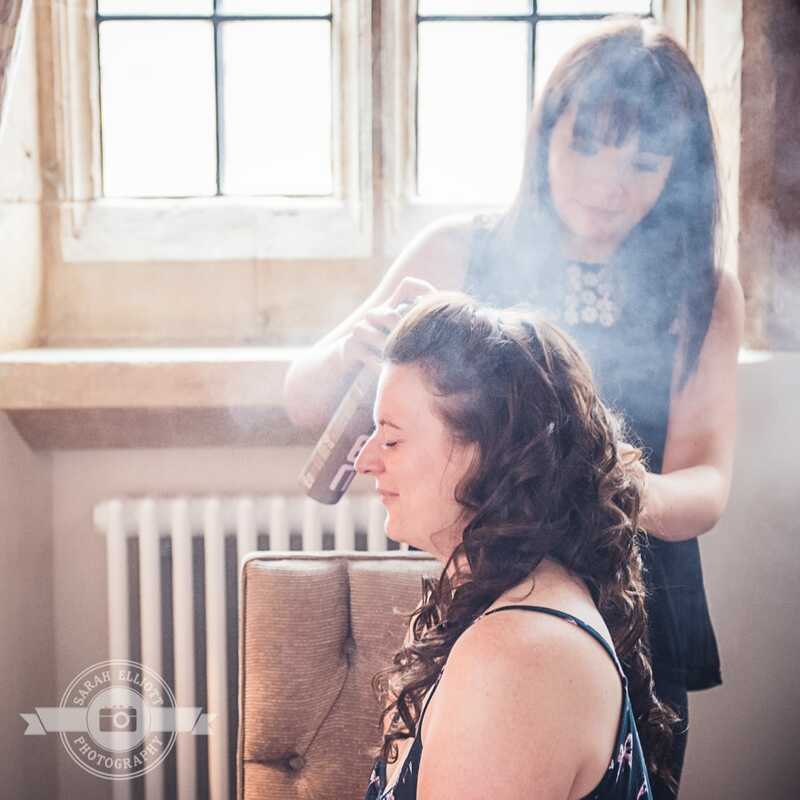 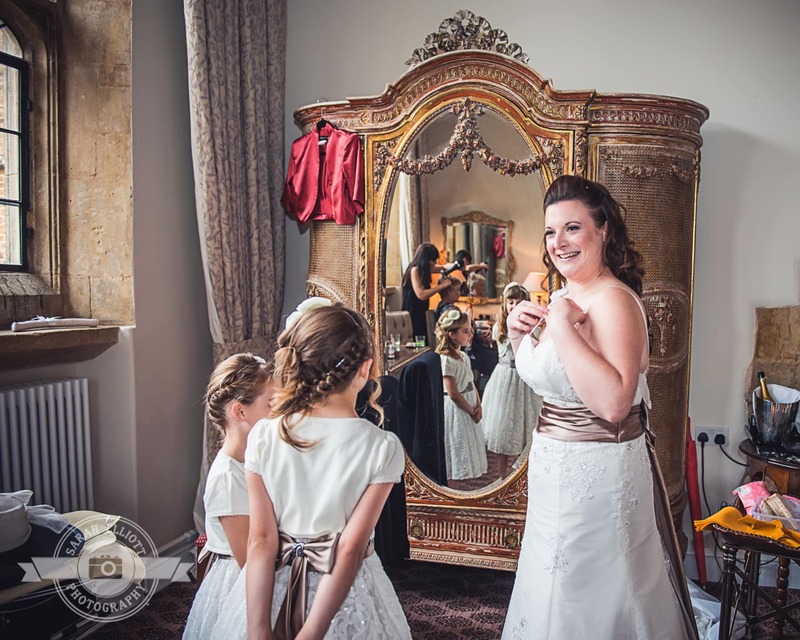 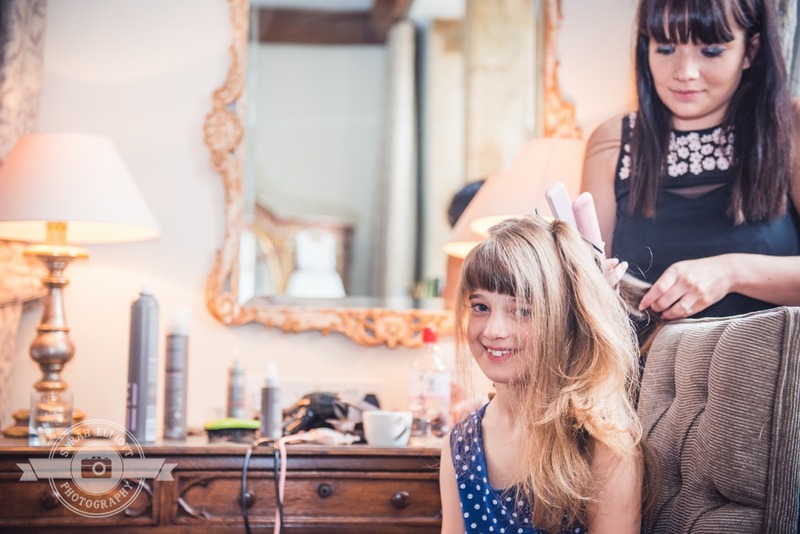 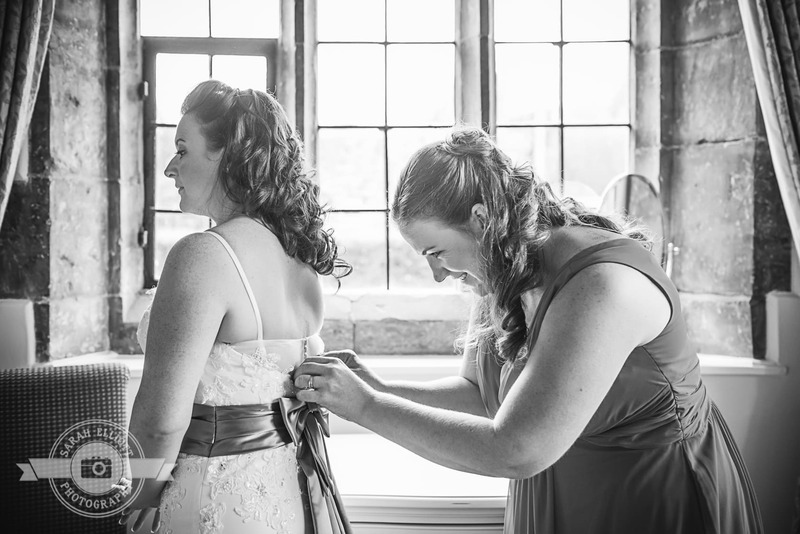 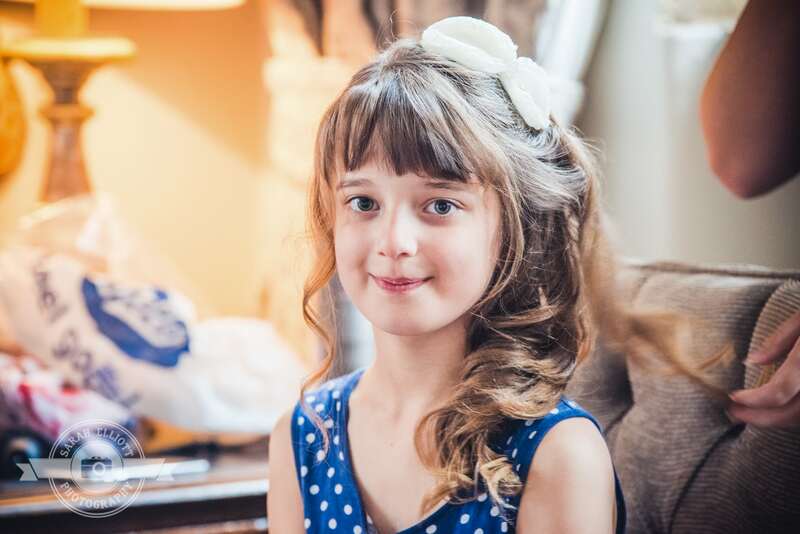 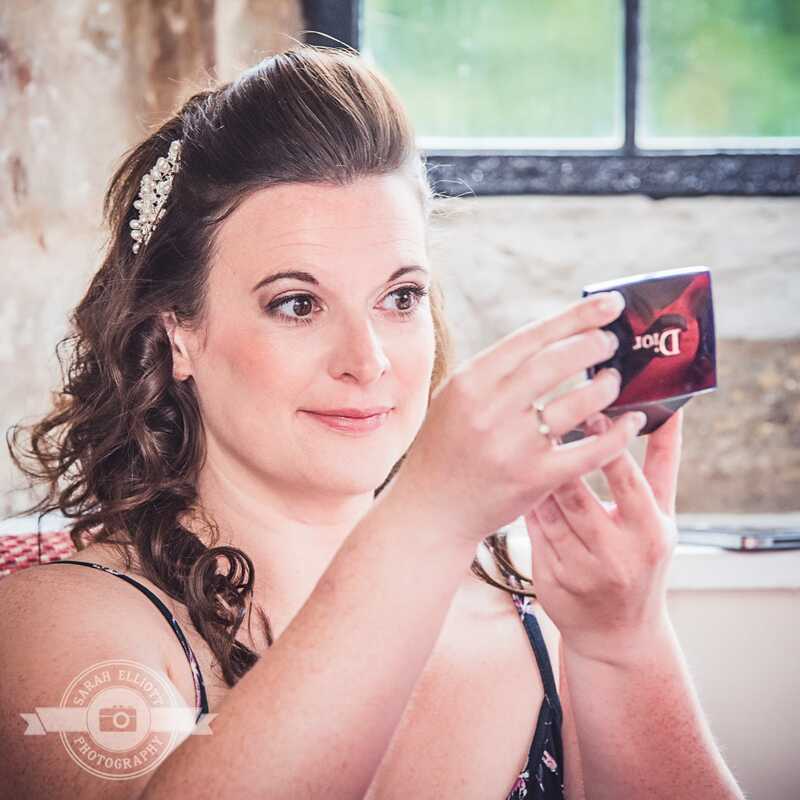 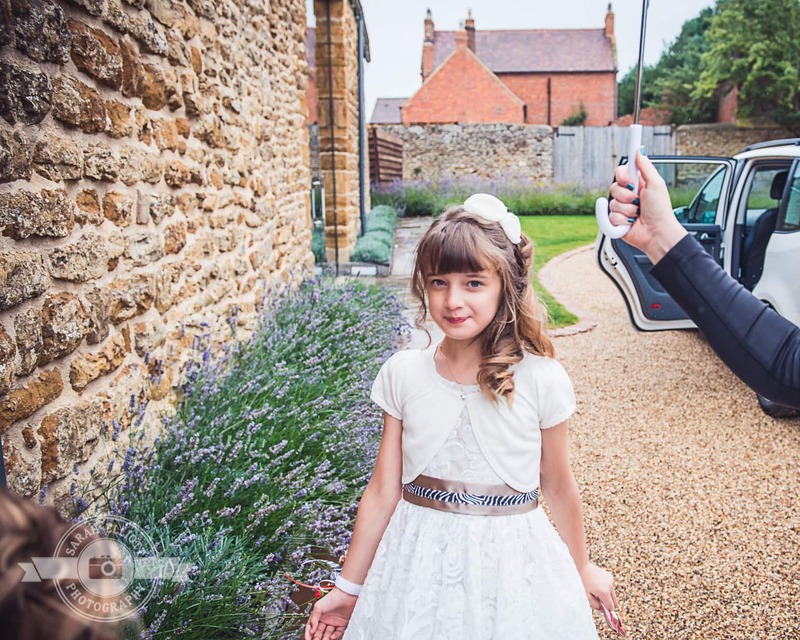 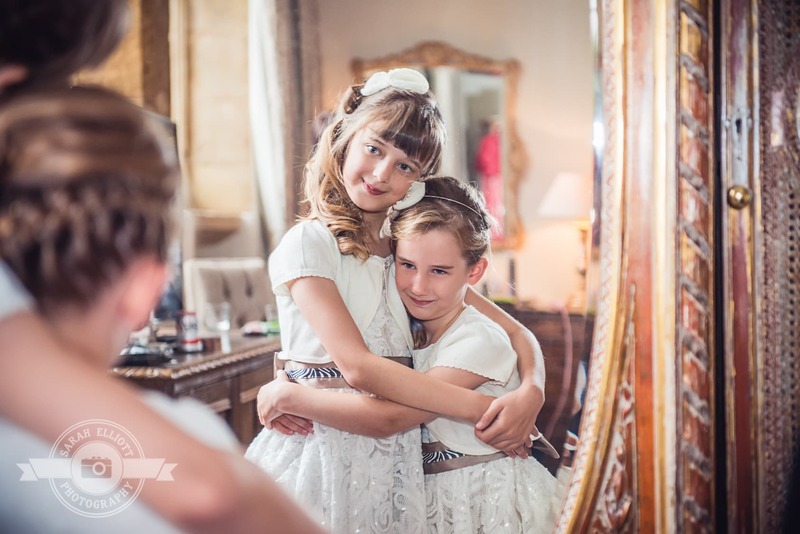 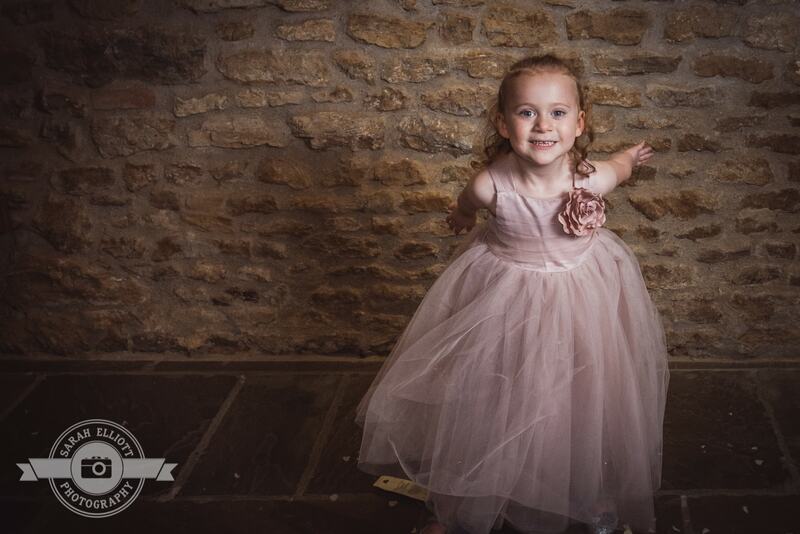 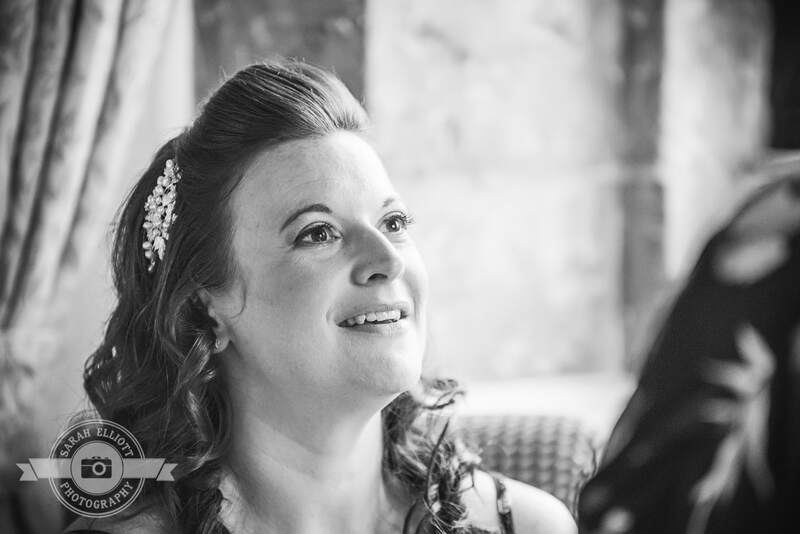 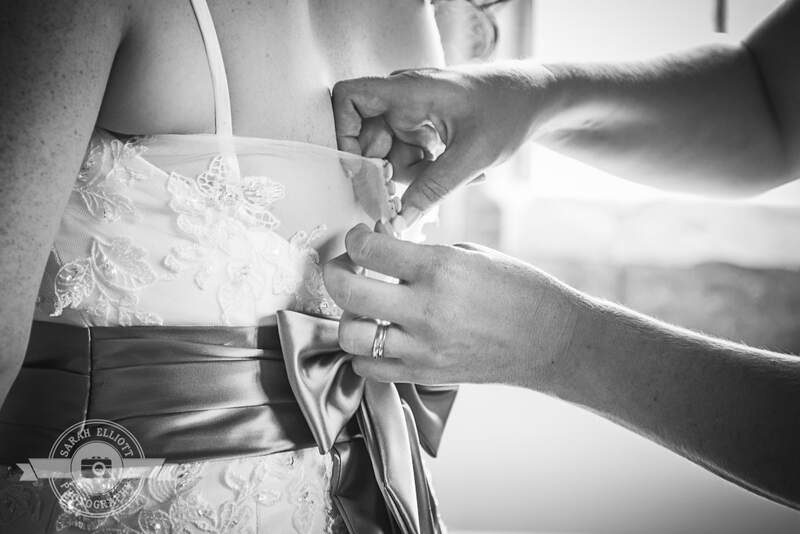 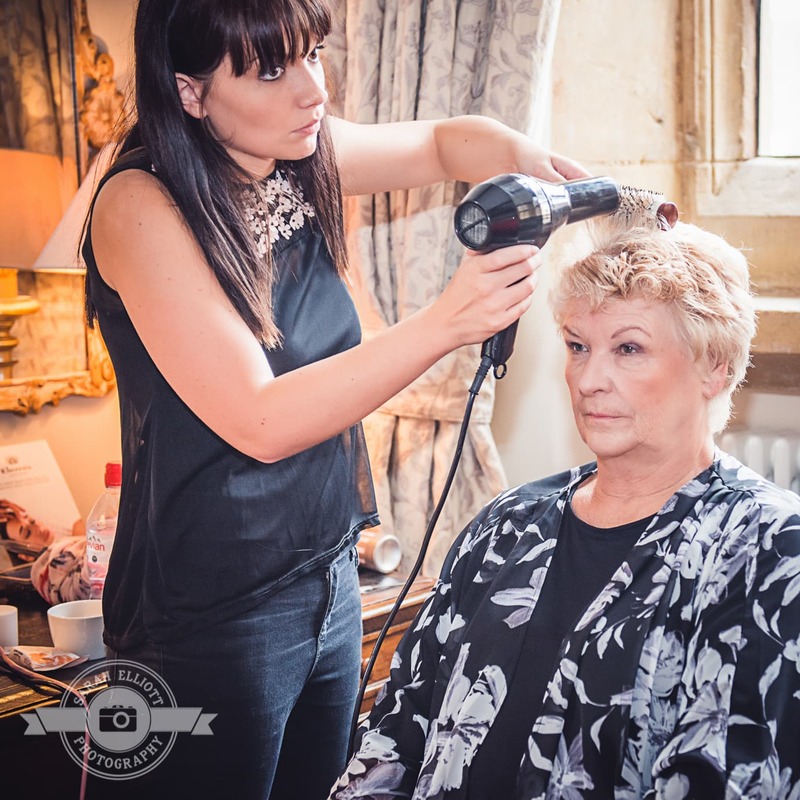 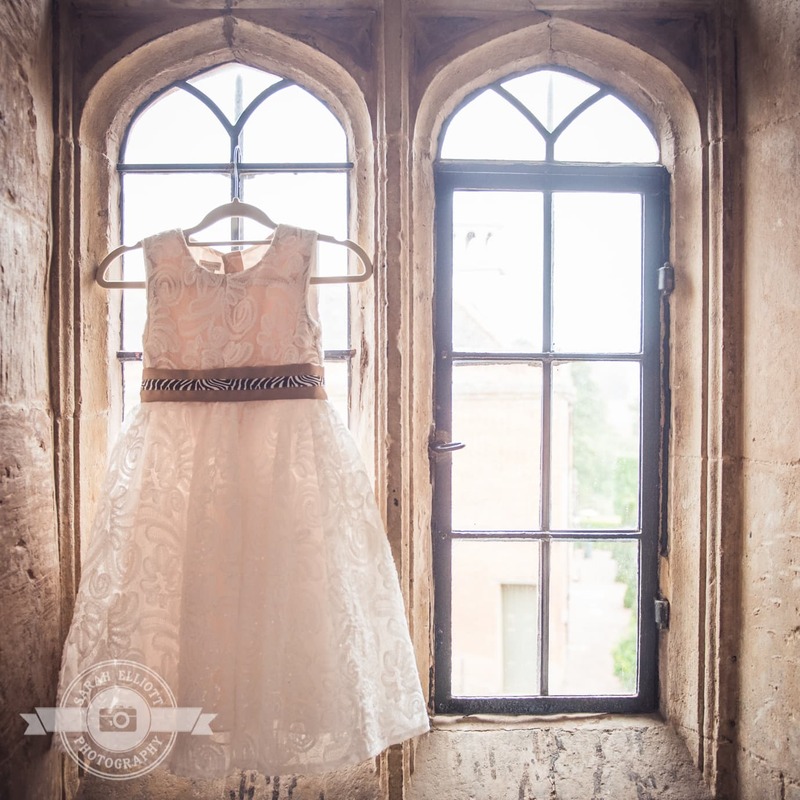 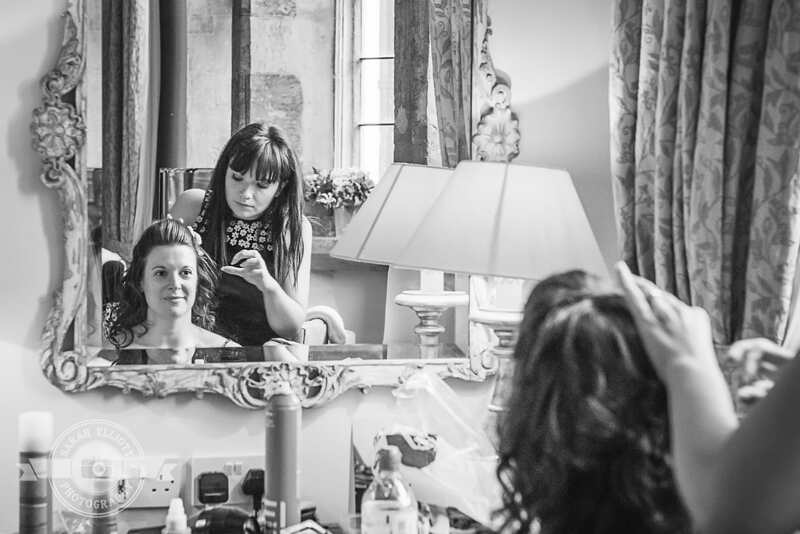 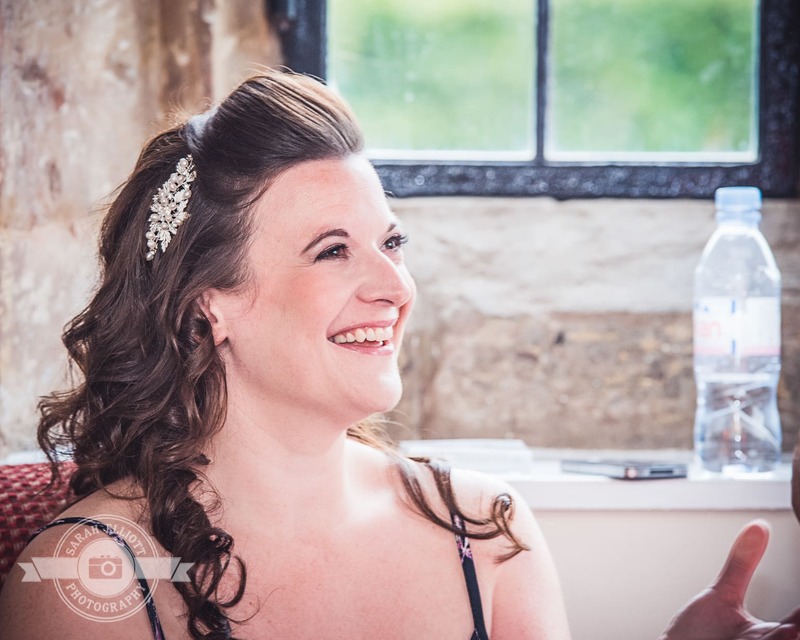 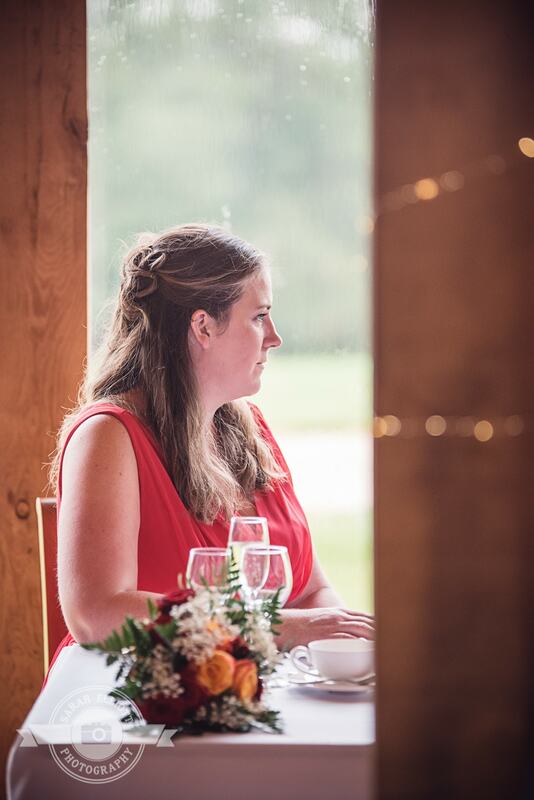 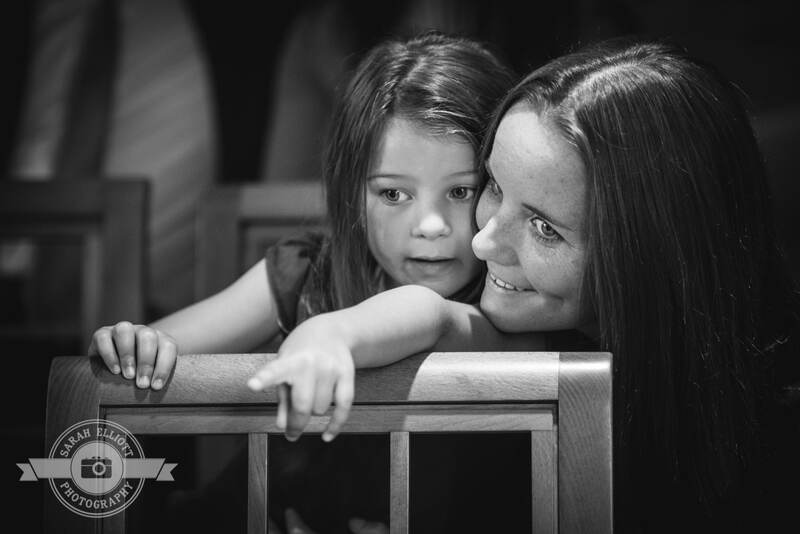 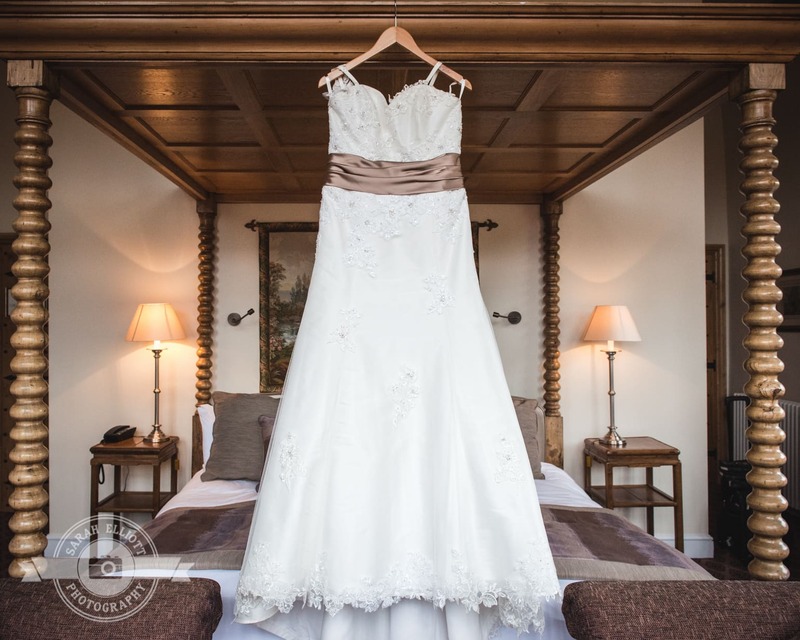 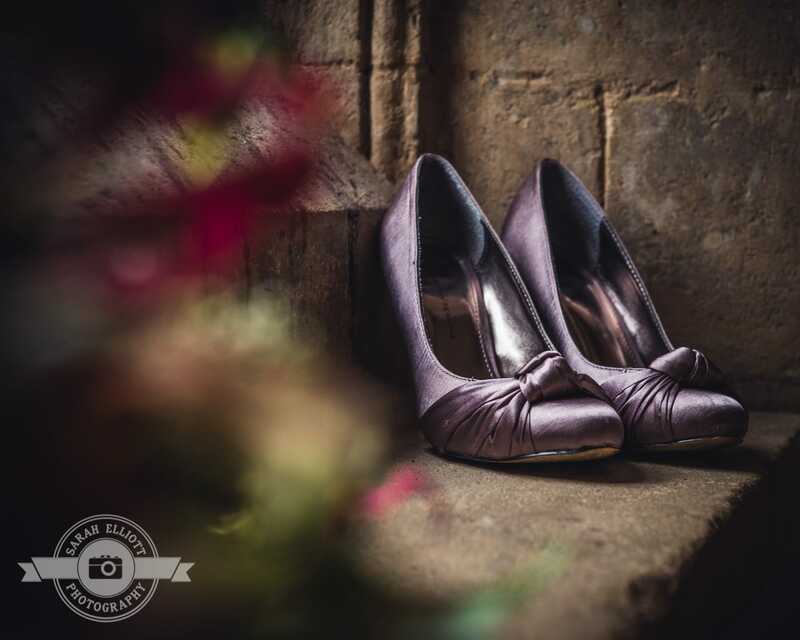 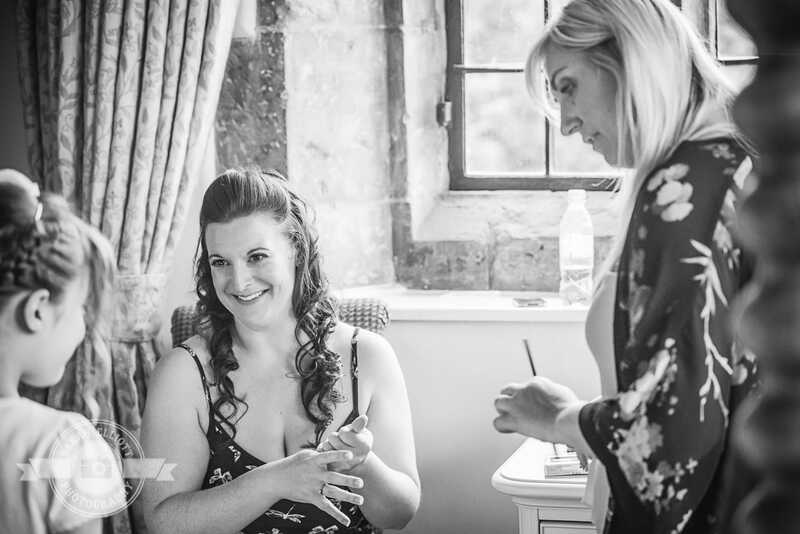 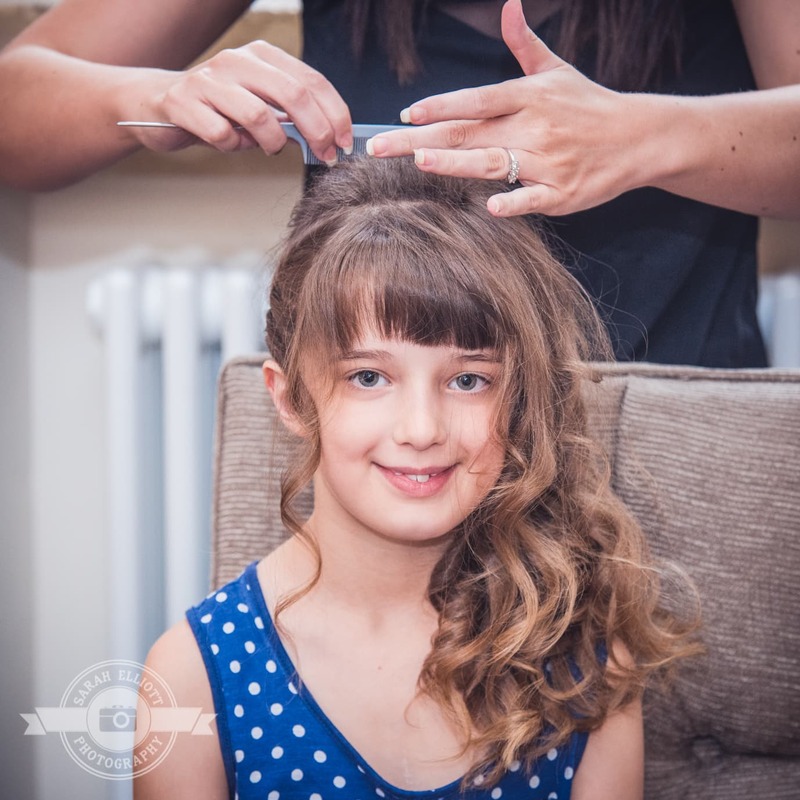 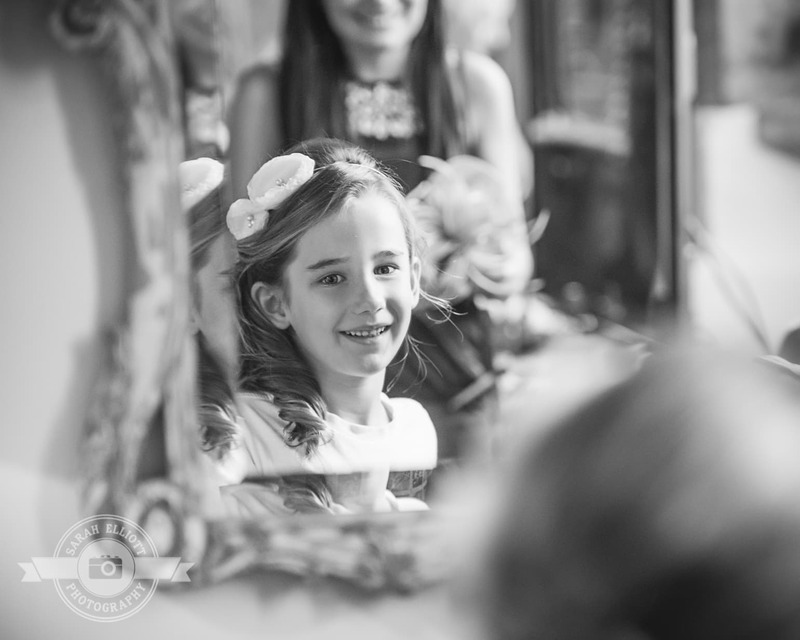 Caroline got ready at Fawsley Hall, a beautiful historic hotel in Daventry. 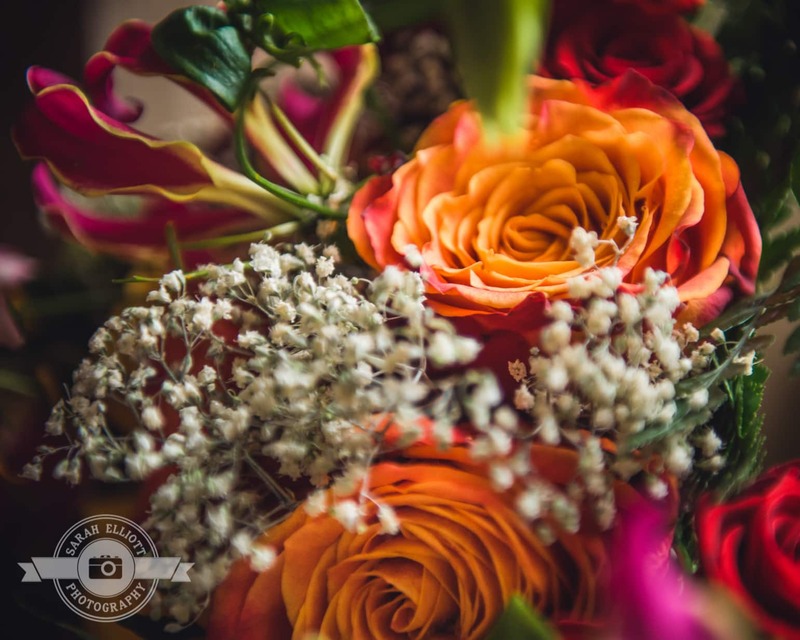 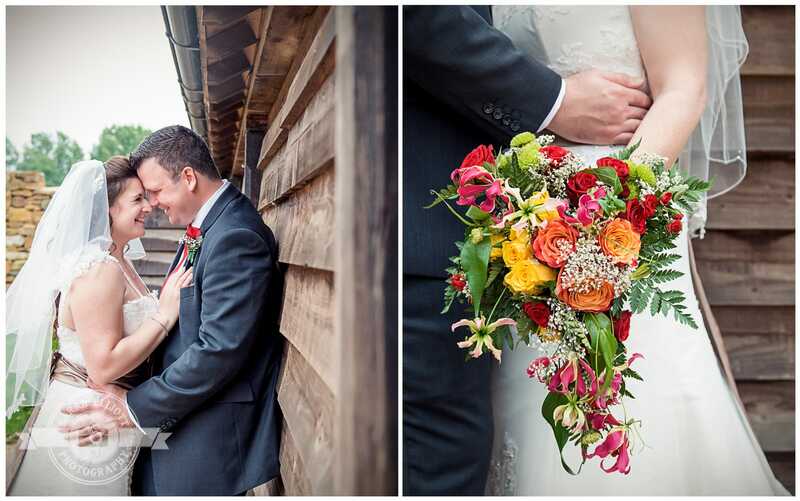 She wore a stunning white lace dress with taupe ribbon detailing along with an amazing bouquet full of bright red, pink and orange flowers. 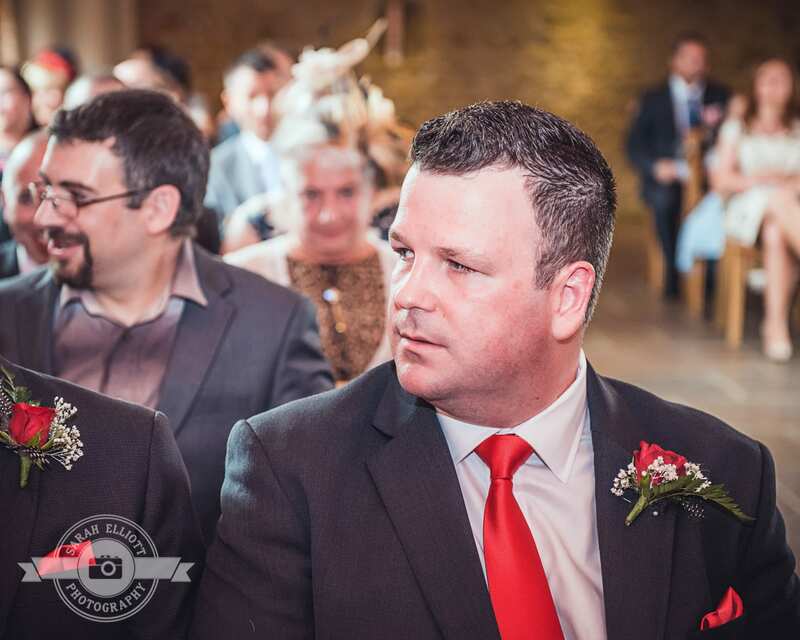 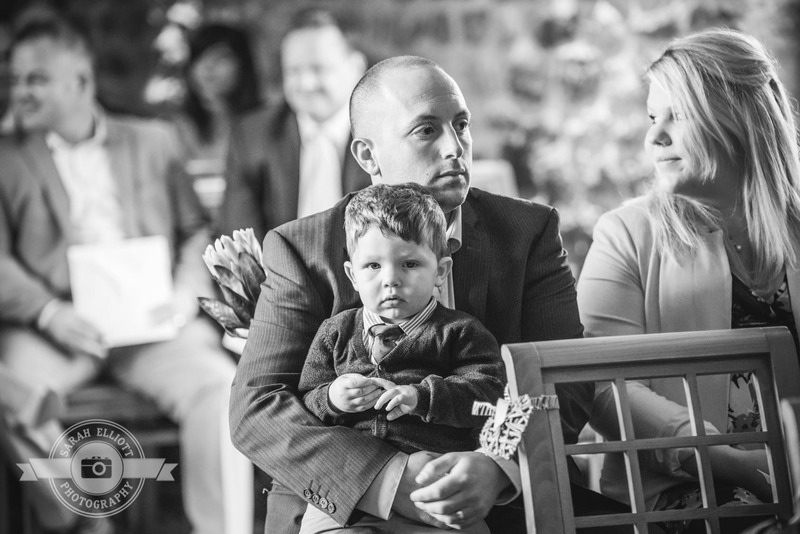 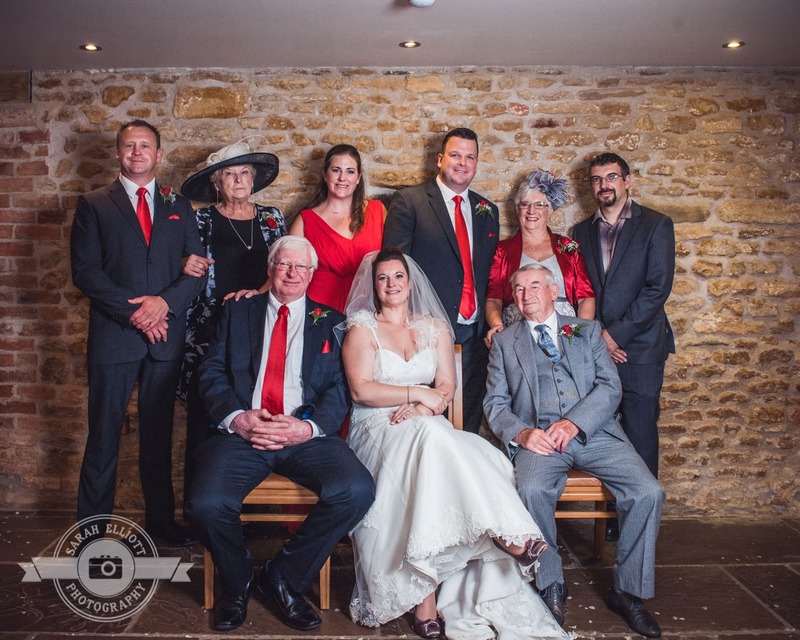 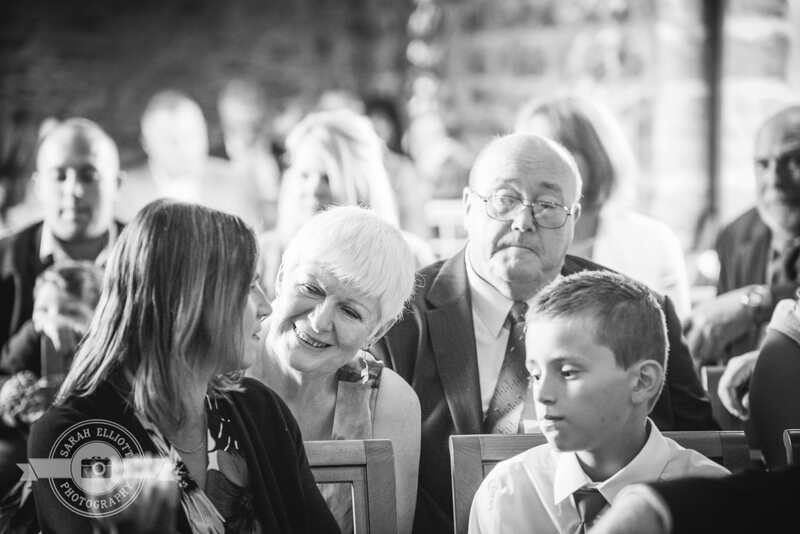 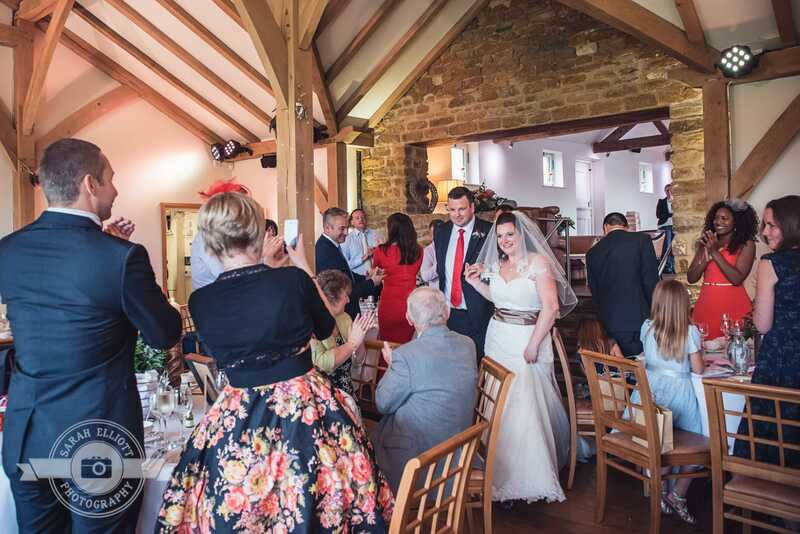 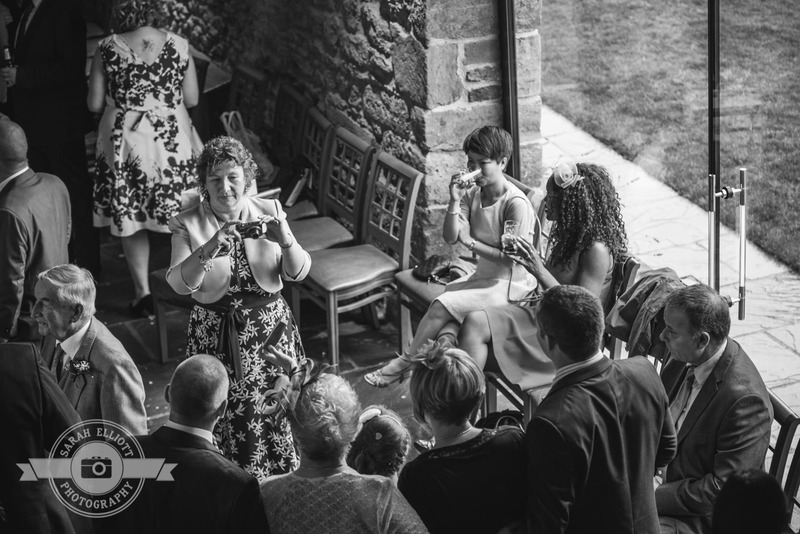 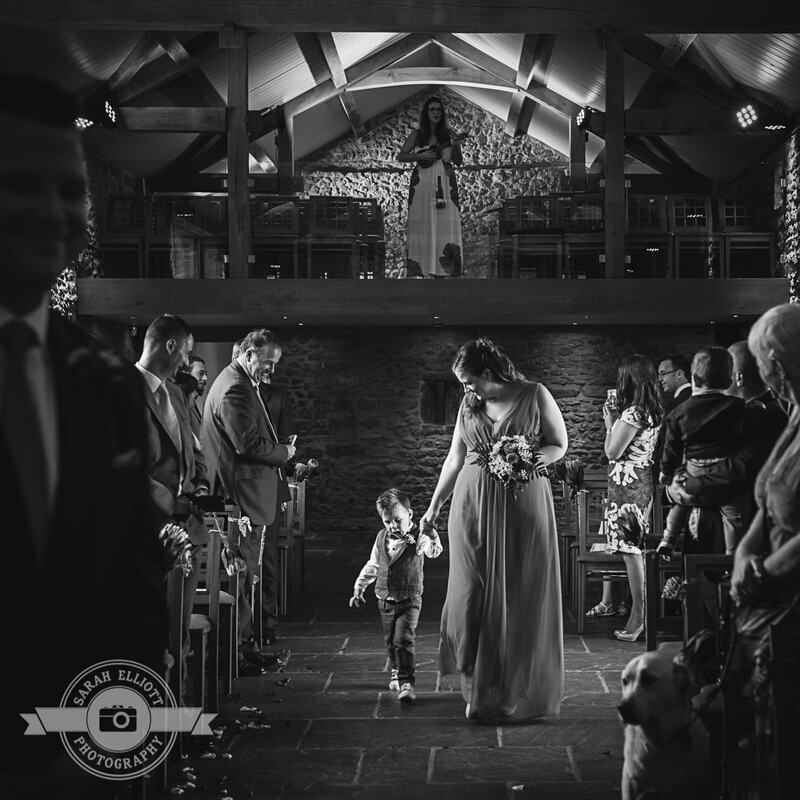 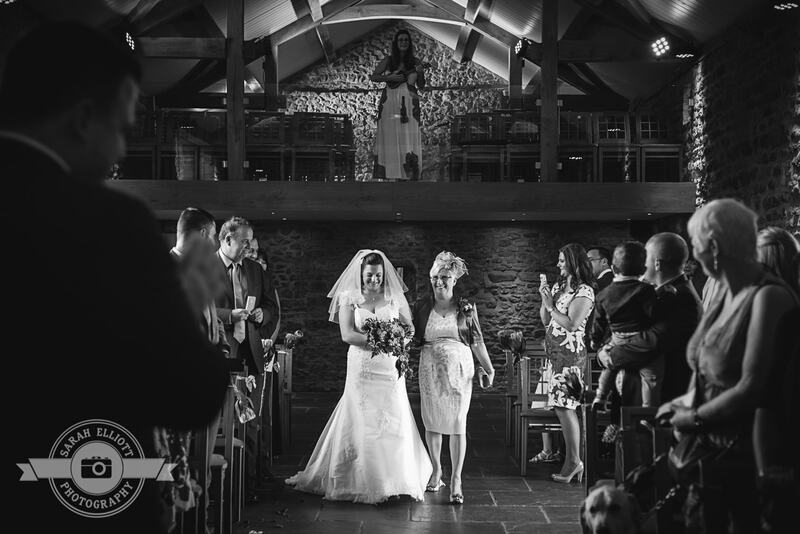 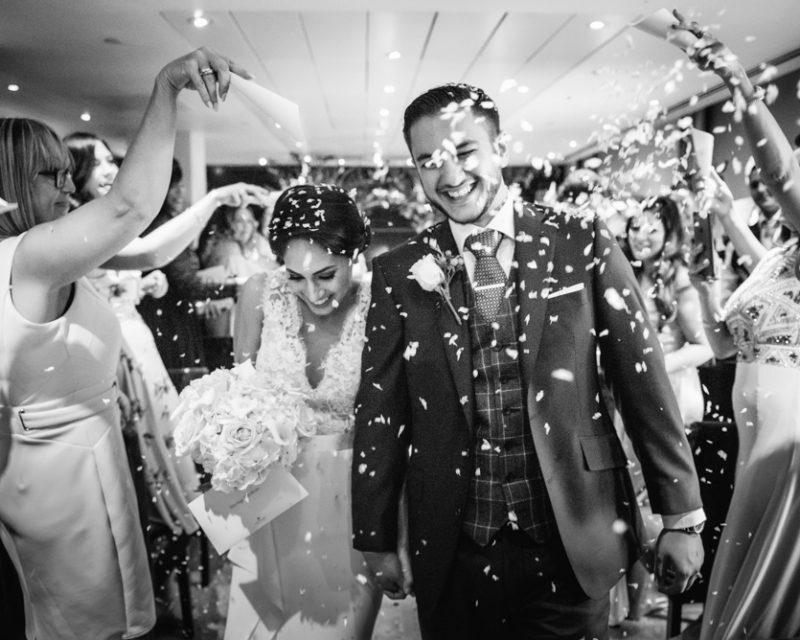 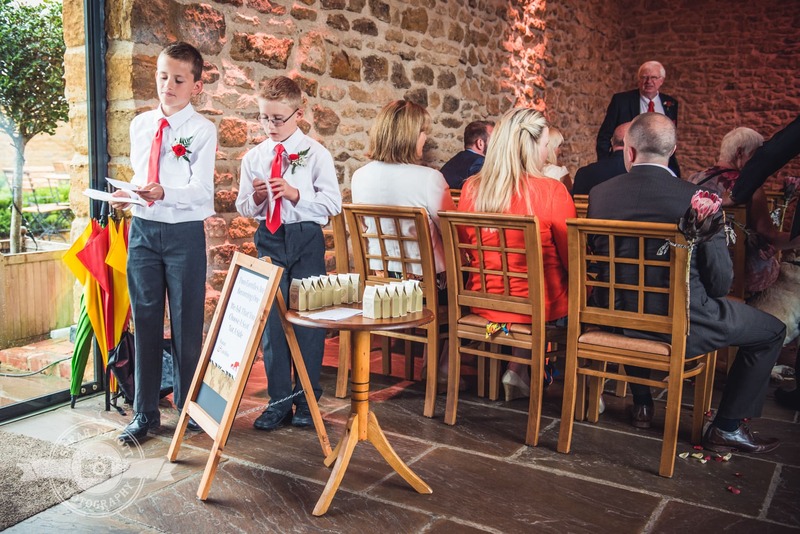 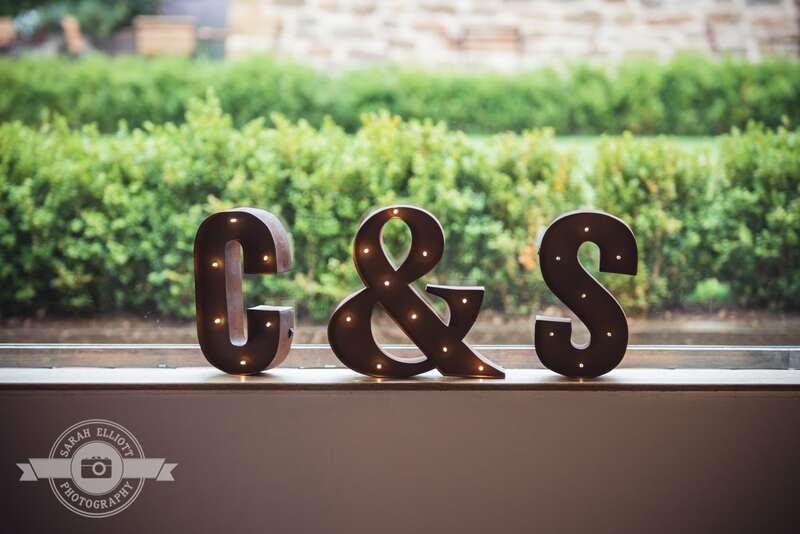 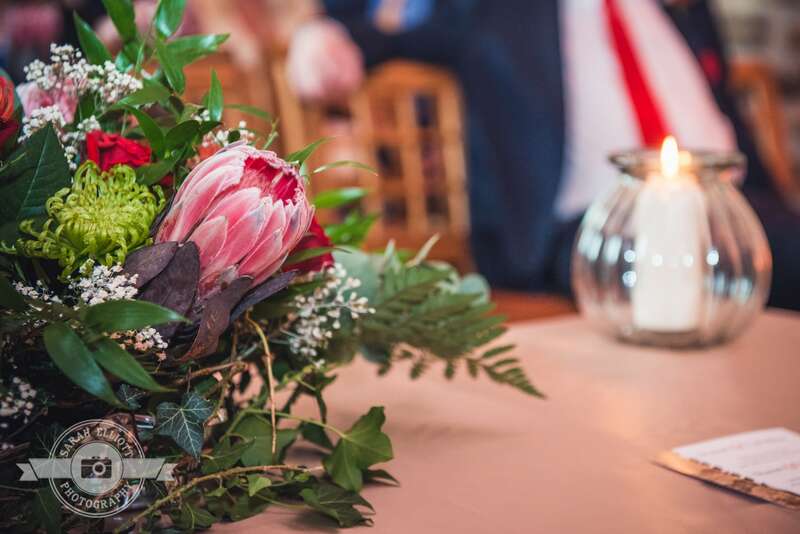 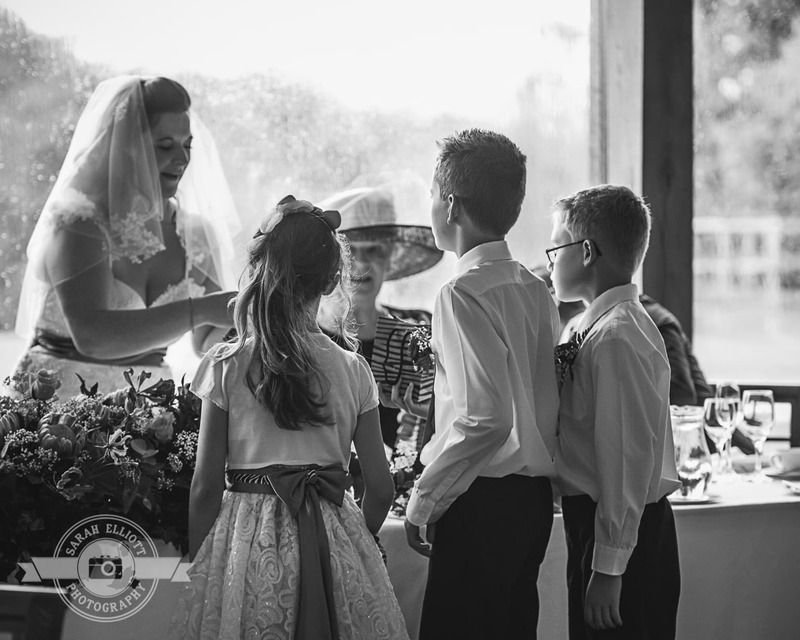 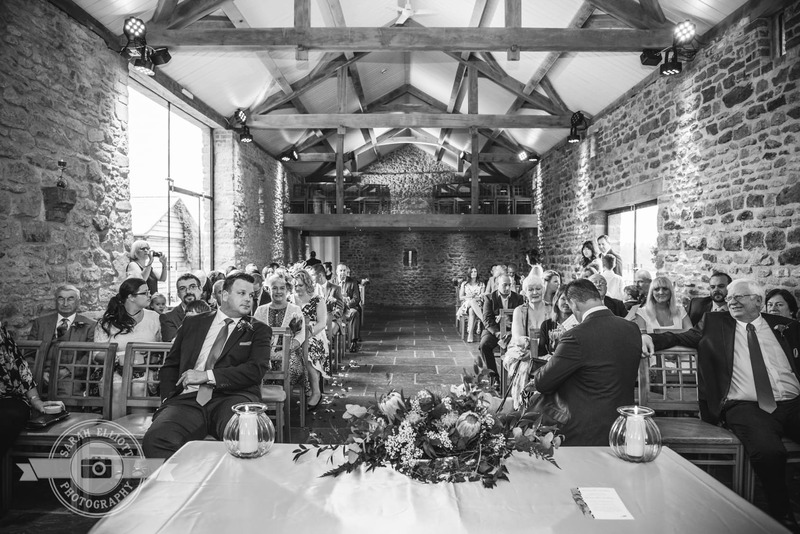 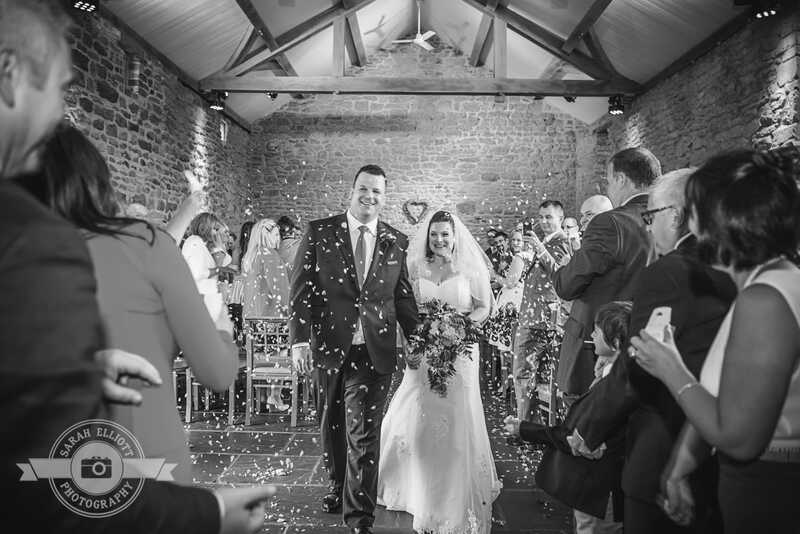 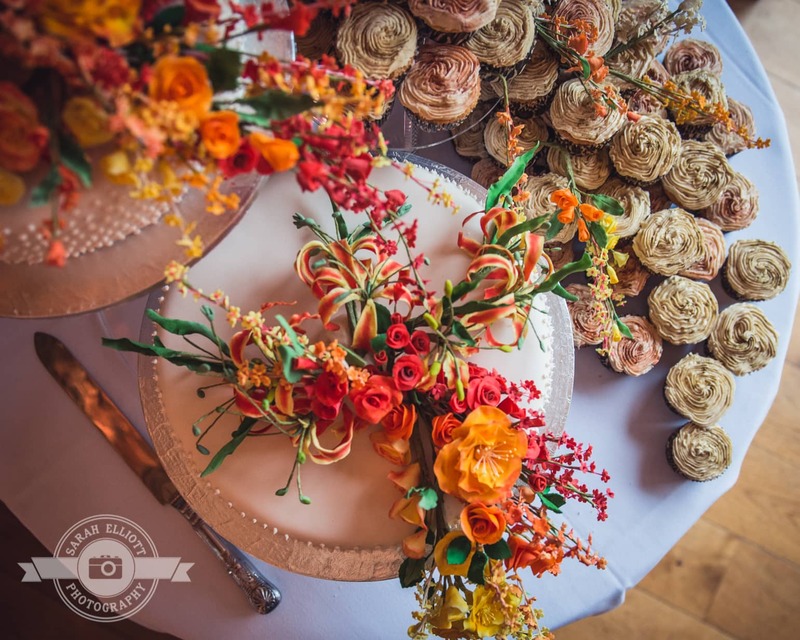 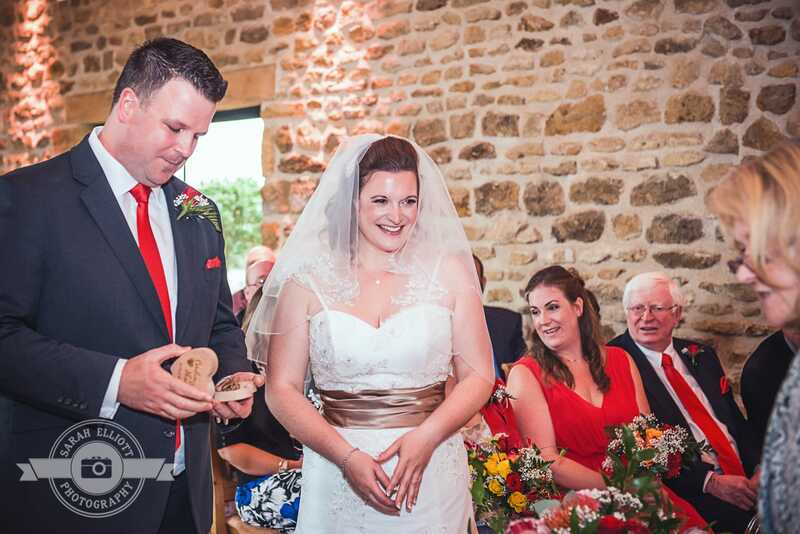 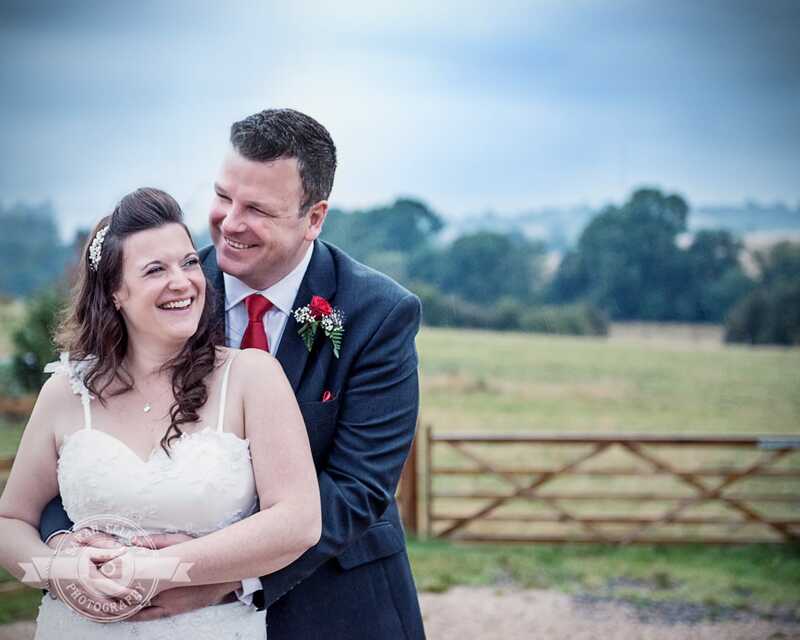 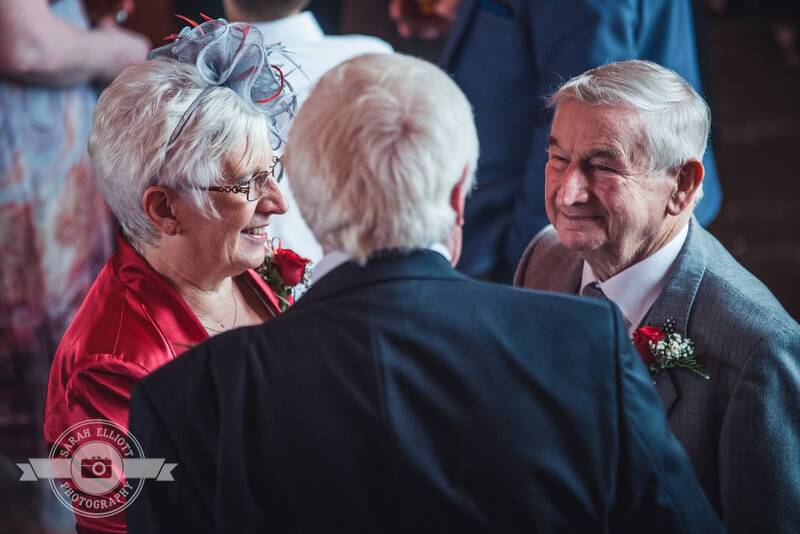 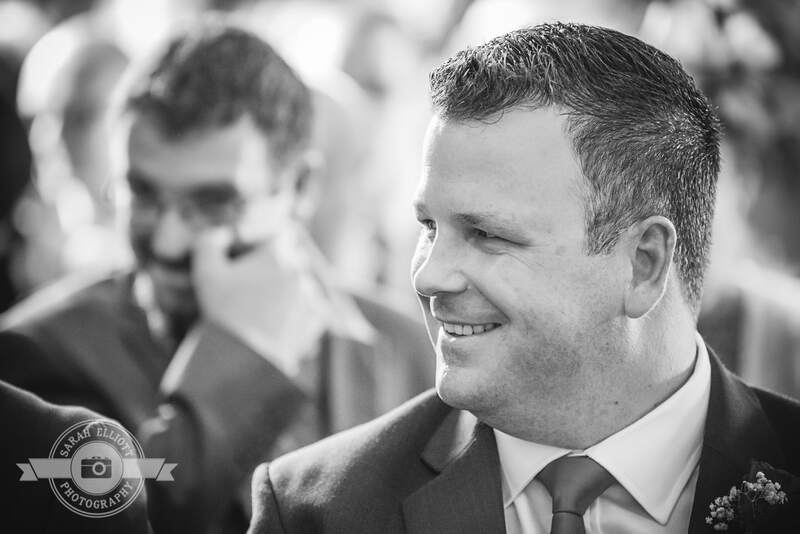 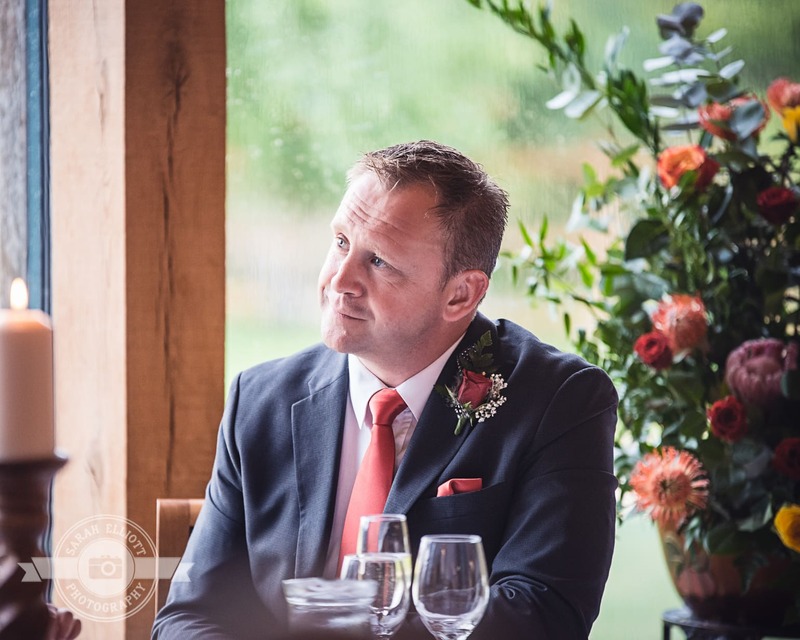 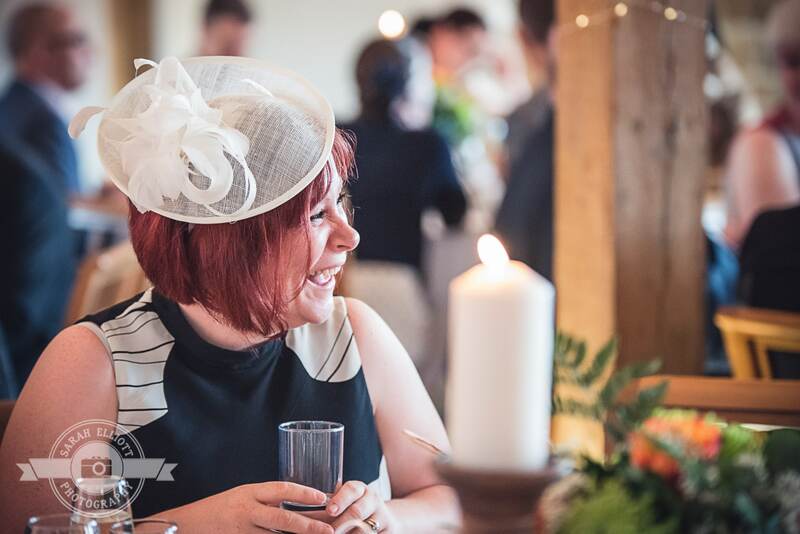 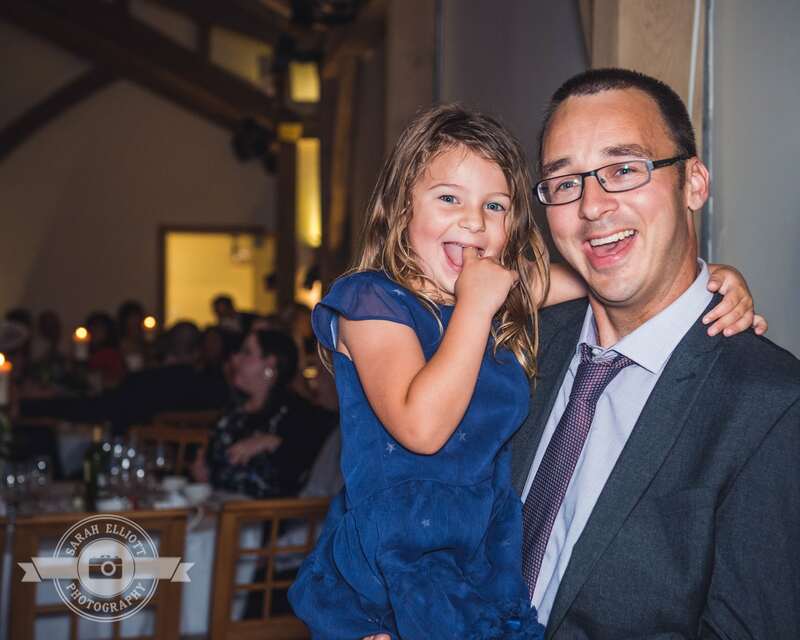 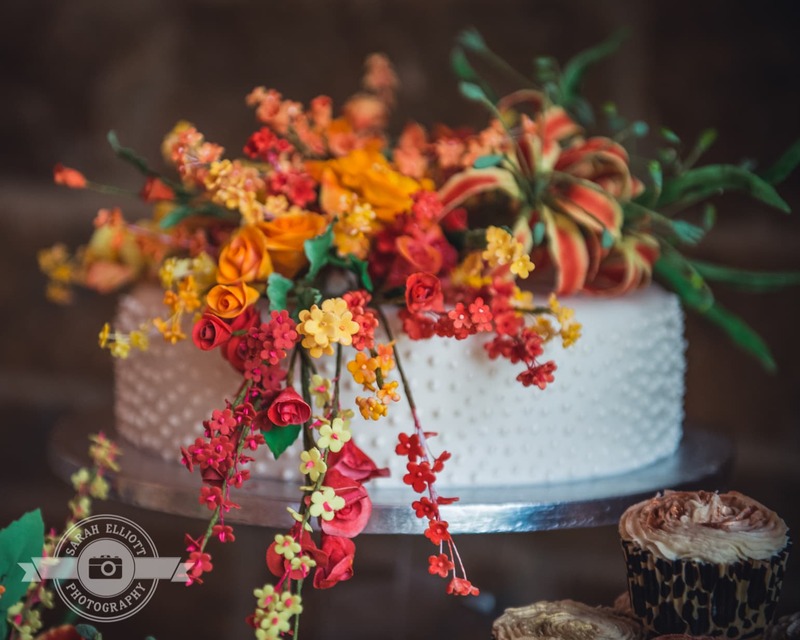 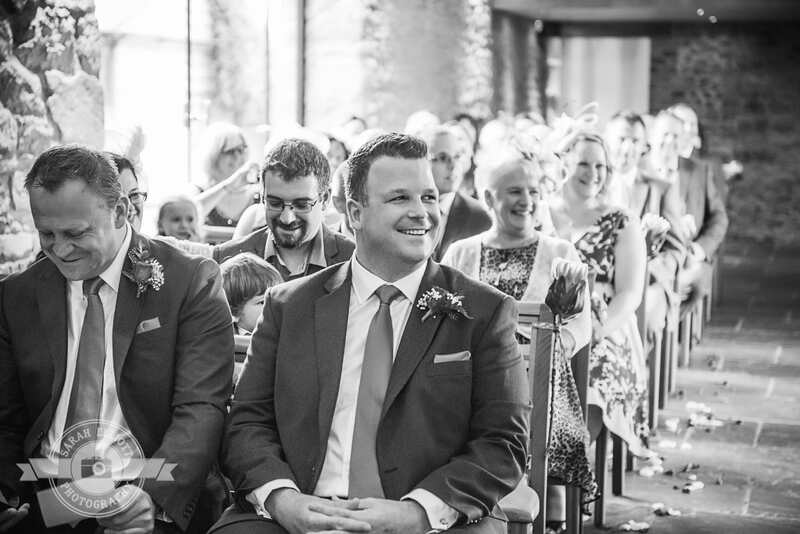 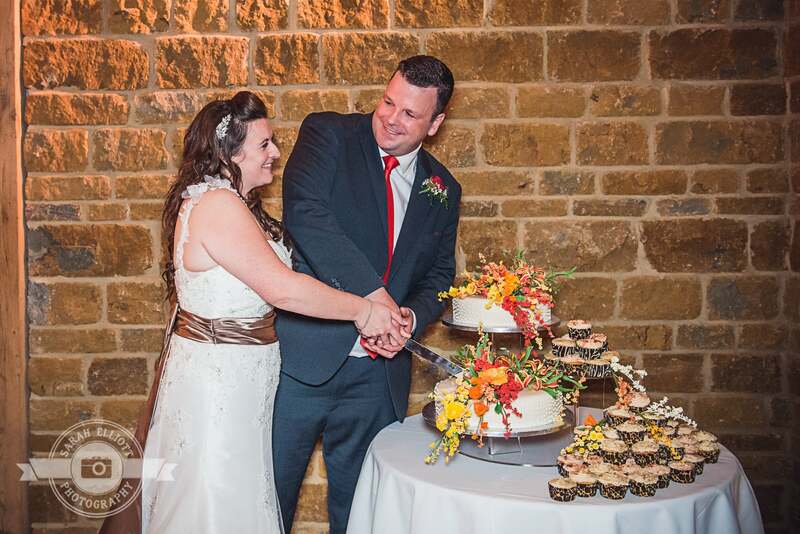 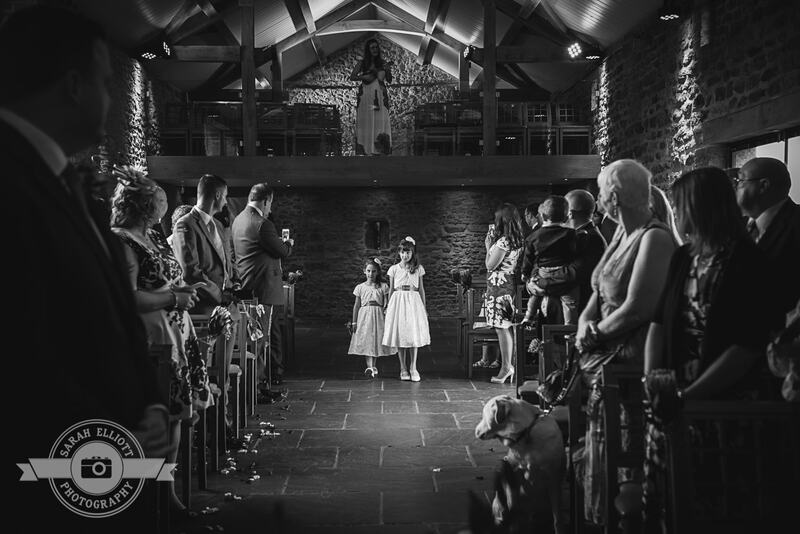 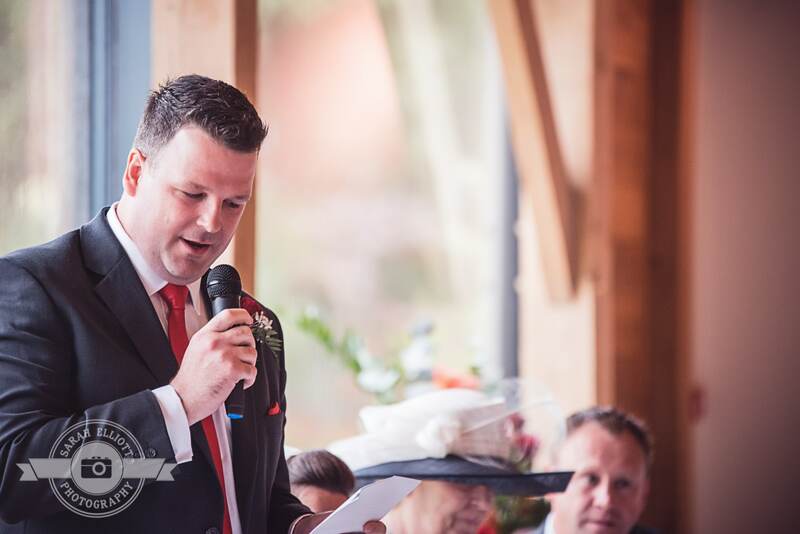 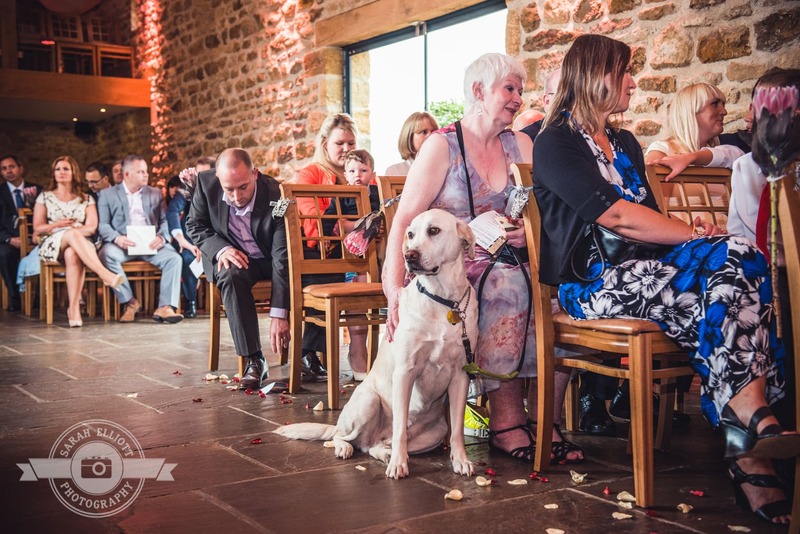 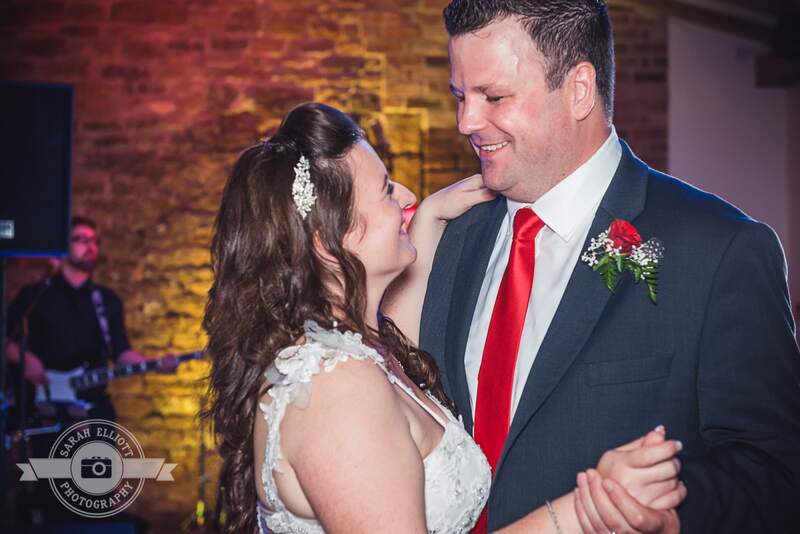 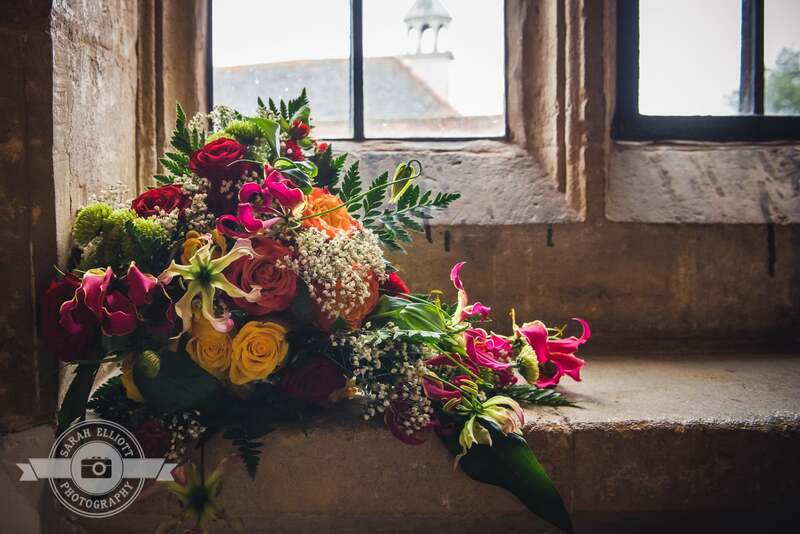 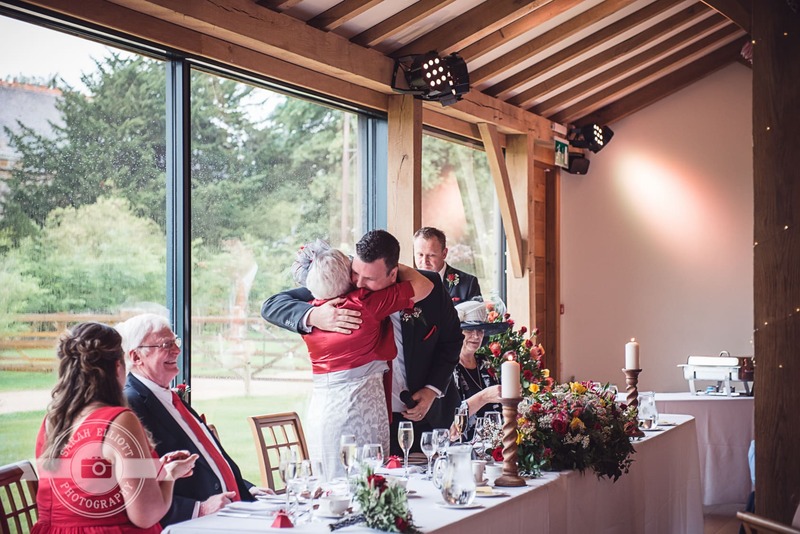 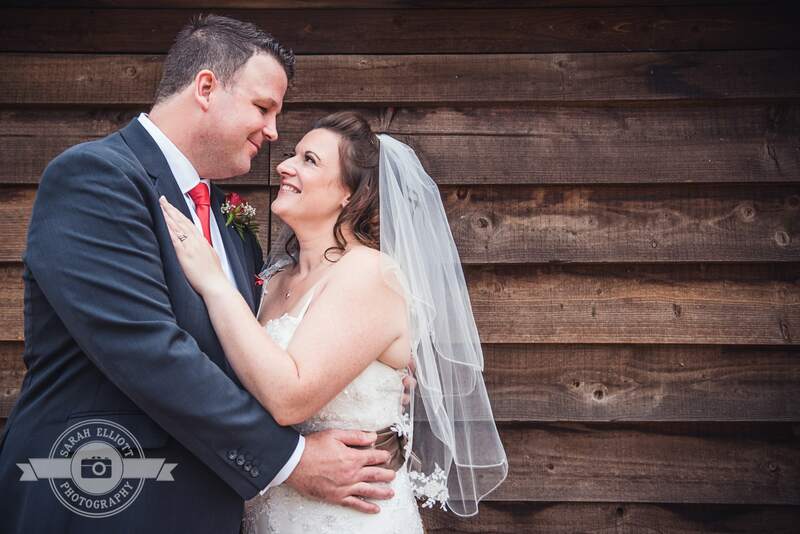 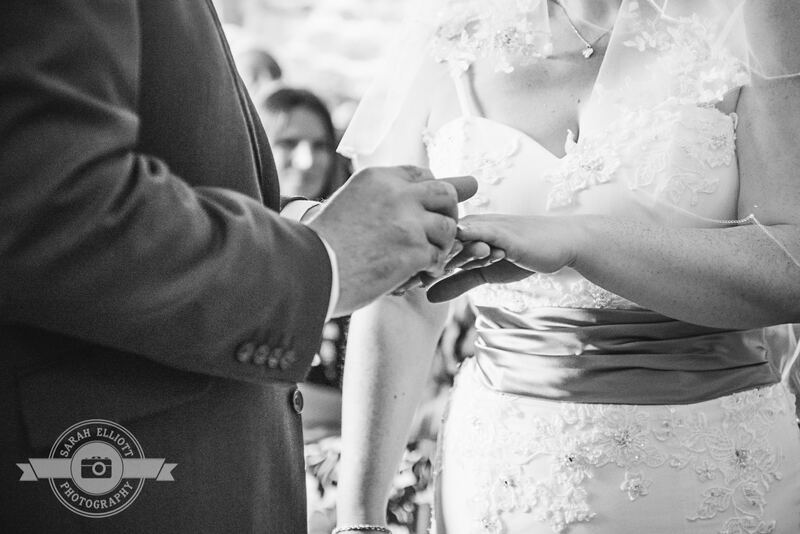 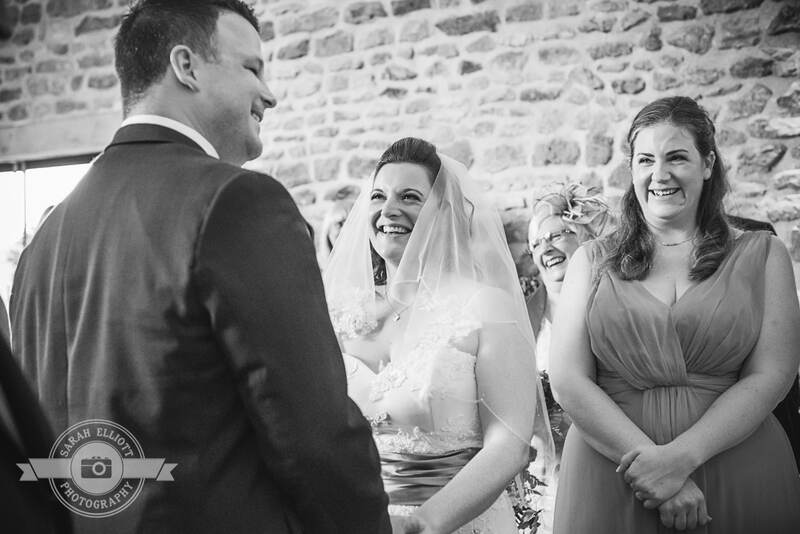 Shaun and Caroline’s ceremony took place at Dodford Manor, a pretty converted barn in Northampton. 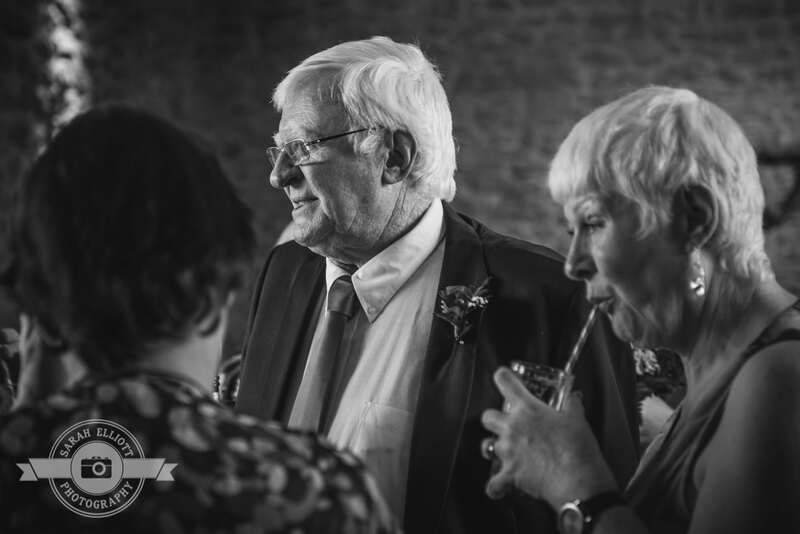 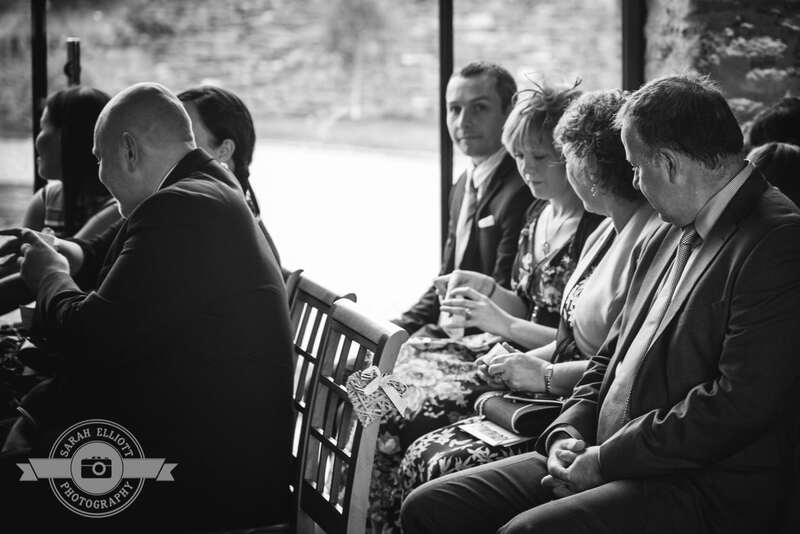 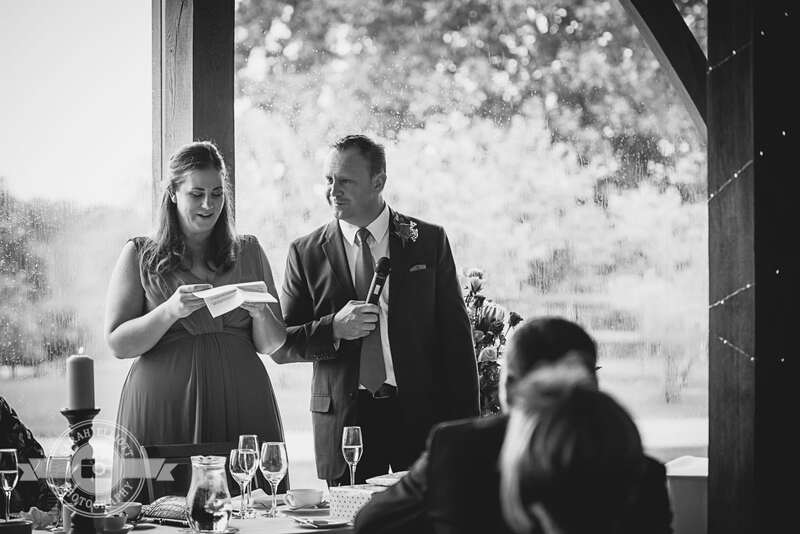 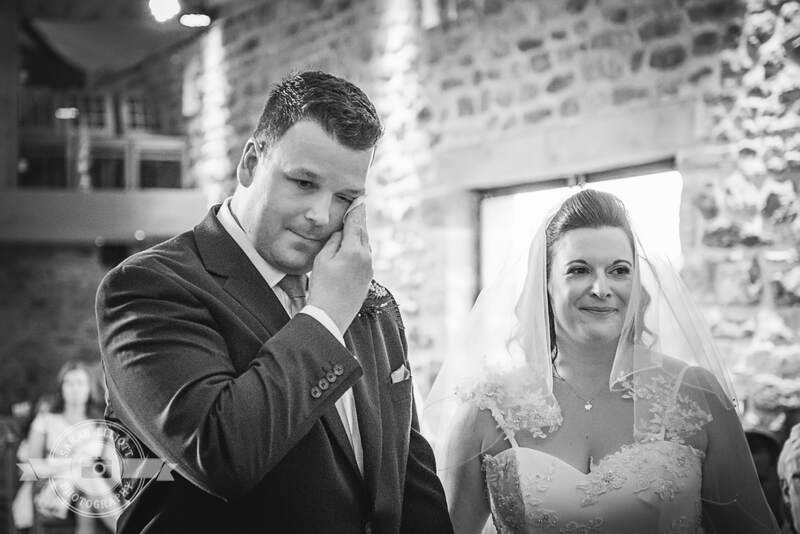 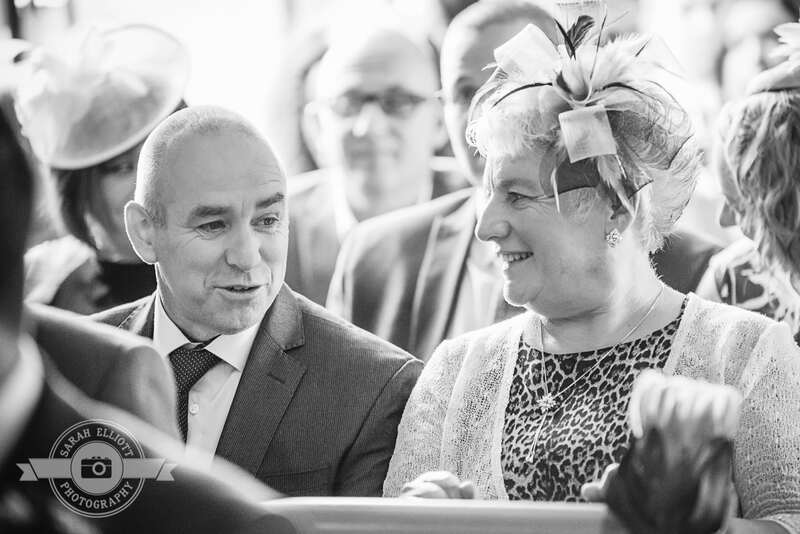 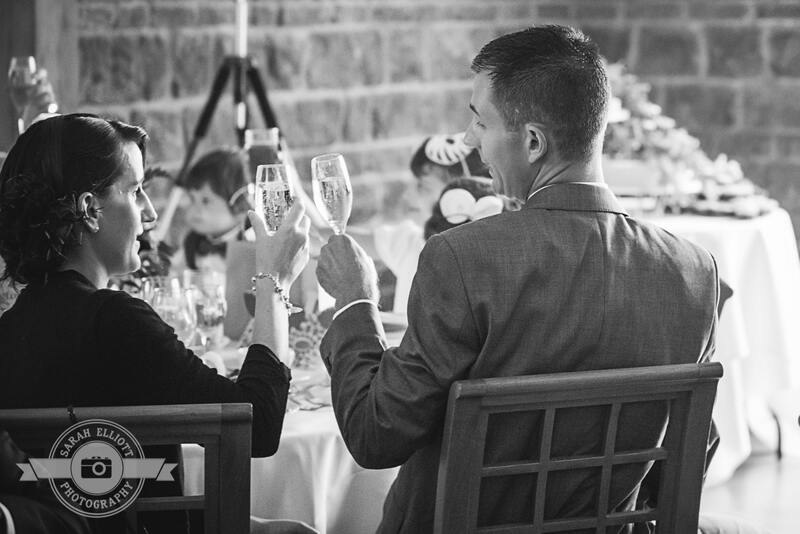 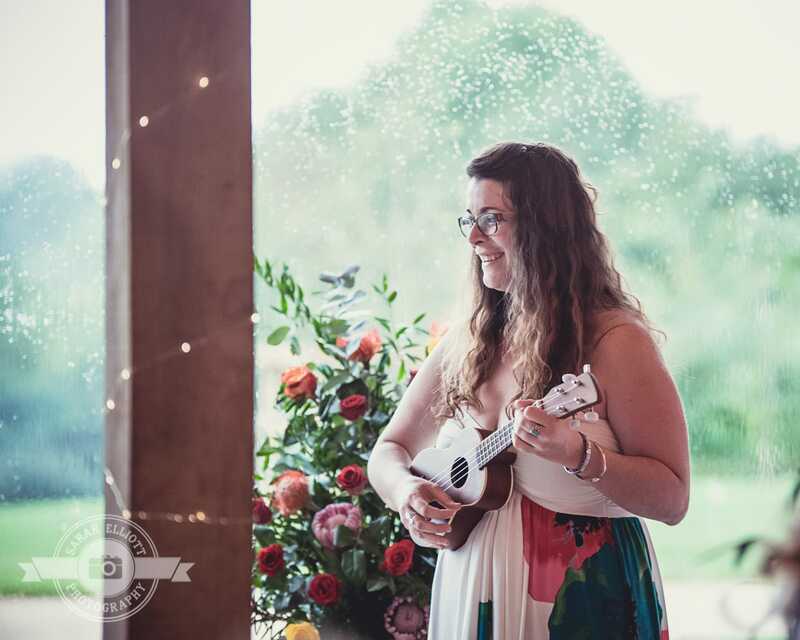 Shaun shed a tear as Caroline walked down the aisle whilst his sister played “Greatest Day” on the Ukulele. 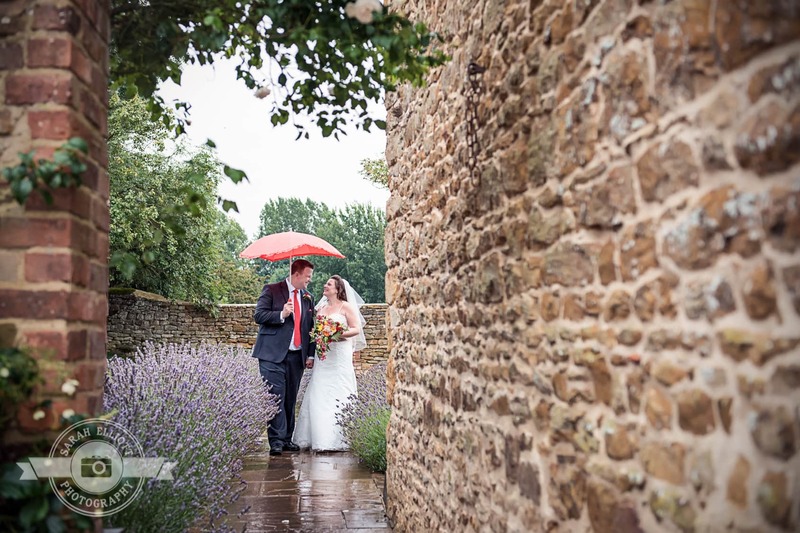 Although it was forecast to rain all day, we managed to sneak outside for ten minutes to get some pictures against the breathtaking landscape. 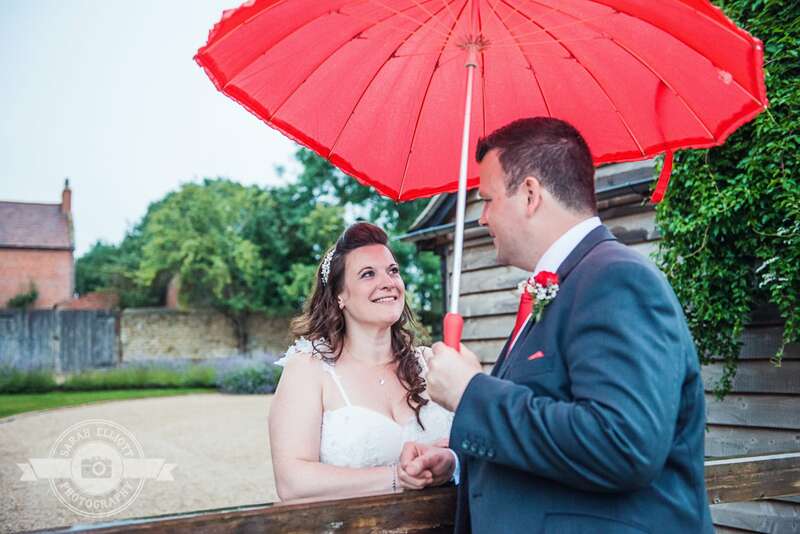 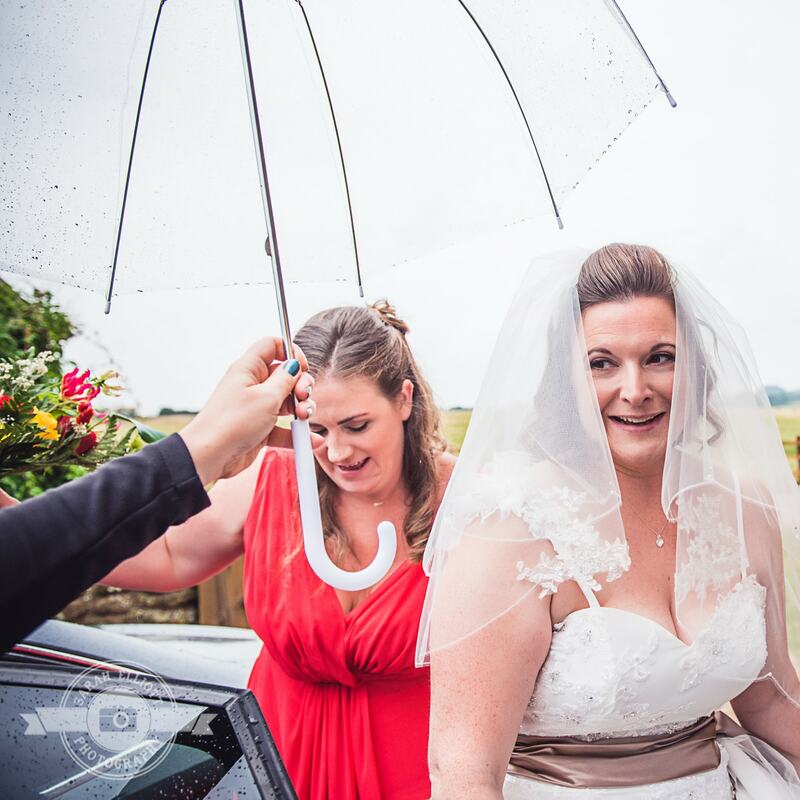 Shaun and Caroline, thank you both for braving the rain and allowing me to document your magical day.